A team of Georgia Tech researchers is developing medical devices for an underserved population in Ethiopia. Pictured are (left to right): Yahia Ali (BME student), Mahlet Yigeremu (Department of Obstetrics & Gynecology, Addis Ababa University, Addis Ababa, Ethiopia), James Stubbs (BME professor of practice), Elizabeth Kappler (BME student), Hannah Geil (BME student), Elianna Paljug (BME student), Rudy Gleason (BME associate professor/Petit Institute researcher). Kennedy Fireselam Gleason died on April 1st, 2009, in Ethiopia. She was not yet six months old and had never been held by her brokenhearted parents, Rudy and Katie Gleason. But as her 10th birthday passed on October 19, 2018, Kennedy was exerting a tangible influence in the world – on healthcare in her country, and on researchers and students here at the Georgia Institute of Technology. The odds for women and orphan children in Ethiopia have improved through the work of a non-profit organization created by the Gleasons (called Because of Kennedy), and through research and development of diagnostic tools from Rudy’s lab and, potentially, from a group of Georgia Tech biomedical engineering undergraduate students working on their Capstone project. Gleason, an associate professor in both the George W. Woodruff School of Mechanical Engineering at Georgia Tech and the Wallace H. Coulter Department of Biomedical Engineering (BME) at Georgia Tech and Emory University, has focused much of his research on HIV patients in Ethiopia, who have high incidents of co-morbidities, such as cancer and cardiovascular disease. But his latest development is a safe, low-cost, easy-to-use 3D camera technology to assess the risk of obstructed labor, which has a high mortality rate in Ethiopia. Gleason, a researcher in the Petit Institute for Bioengineering and Bioscience at Georgia Tech, recently published his team’s research in the journal PLOS One. 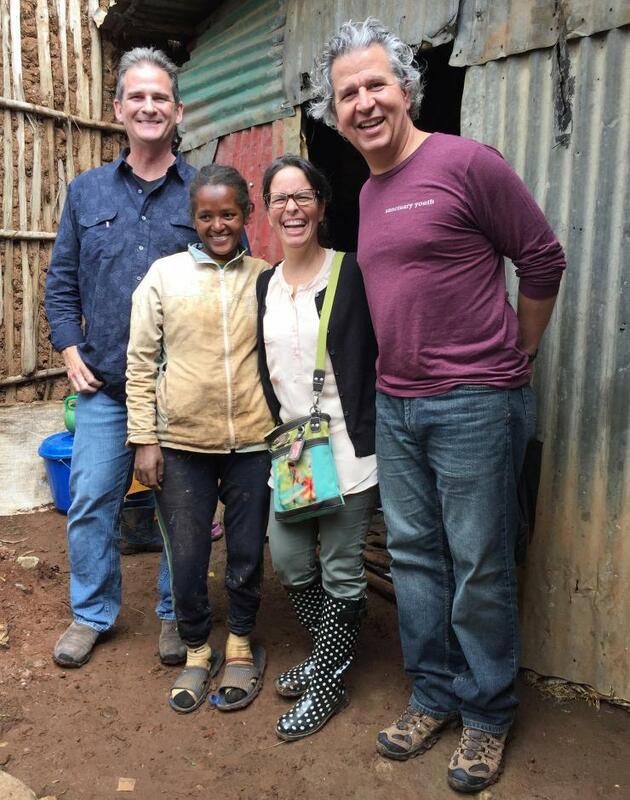 Now, Gleason has more help from home in addressing healthcare challenges in Ethiopia. Just before the fall semester began, a team of BME undergraduate students returned to Georgia Tech after a week in Ethiopia as part of their senior Capstone project, visiting hospital OB/GYN wards, interviewing clinicians, midwives, and patients. “They came back blown away by how many significant challenges there are, and how theoretically easy it would be to have an impact if we can develop useful tools,” said James Stubbs, professor of practice in the Coulter Department, where he coaches Capstone teams. 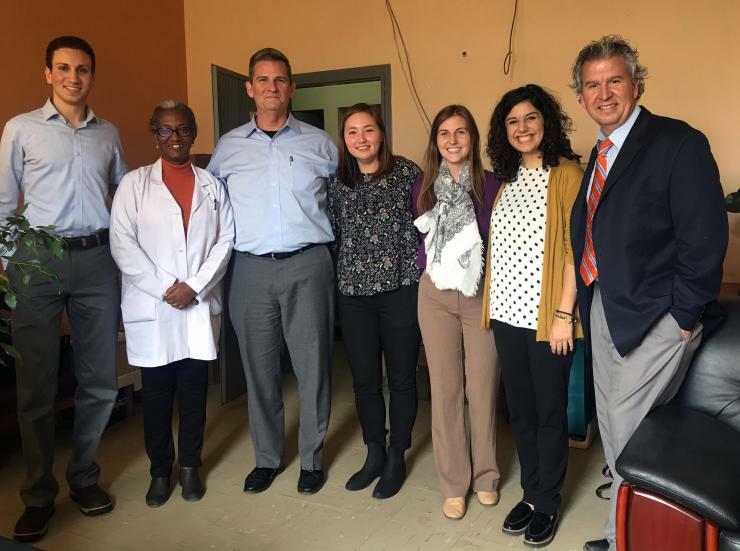 Stubbs made a few trips to Africa over the summer, with Gleason and later with the students, to strengthen the relationship between the BME Capstone program and the clinicians and researchers in Ethiopia. Last year, a BME Capstone team worked on an efficient, reusable, low-cost lung drain device to replace the current gravity drainage system used in Ethiopian hospitals. Another BME team, Supleurartive, continued that work this academic year and won first place as the Best Overall Project in the 2018 Fall Capstone Design Expo. But so far, only one team, calling itself Libi Medical, has traveled to Africa. 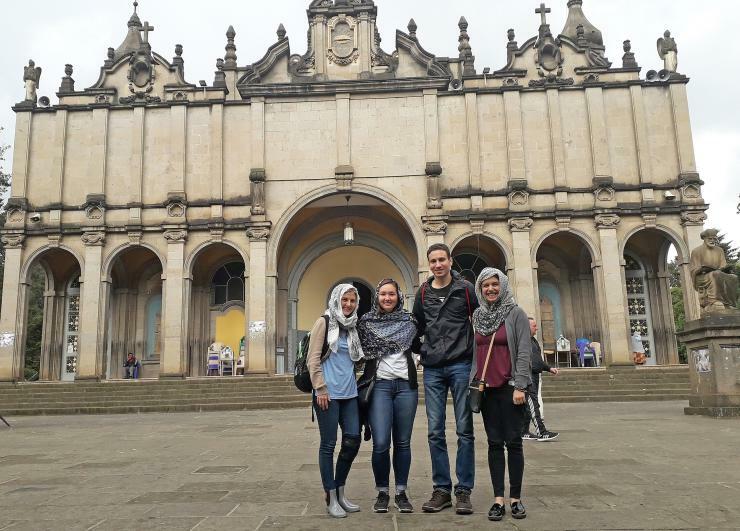 The four students who visited Addis Ababa and surrounding communities in Ethiopia – Yahia Ali, Hannah Geil, Elizabeth Kappler, and Elianna Paljug – are working on a fetal heart monitor. ‘Libi’ is derived from ‘Lib,’ the word for ‘heart’ in Amharic, Ethiopia’s official language. Accordingly, a number of bioengineering and bioscience people within the Petit Institute community have taken these goals seriously – for example, projects like those directed by Manu Platt (associate professor in the Coulter Department) in Africa, and King Jordan (associate professor in the School of Biological Sciences and director of the BioInformatics program) in Colombia and Africa. Mission statements and strategic plans put the goals in writing, but it was personal loss that really drove Rudy Gleason. It was because of Kennedy. The Gleasons did their research, saw a great need among orphans in Ethiopia, completed all of the paperwork and interviews and were matched with Kennedy in January 2009. 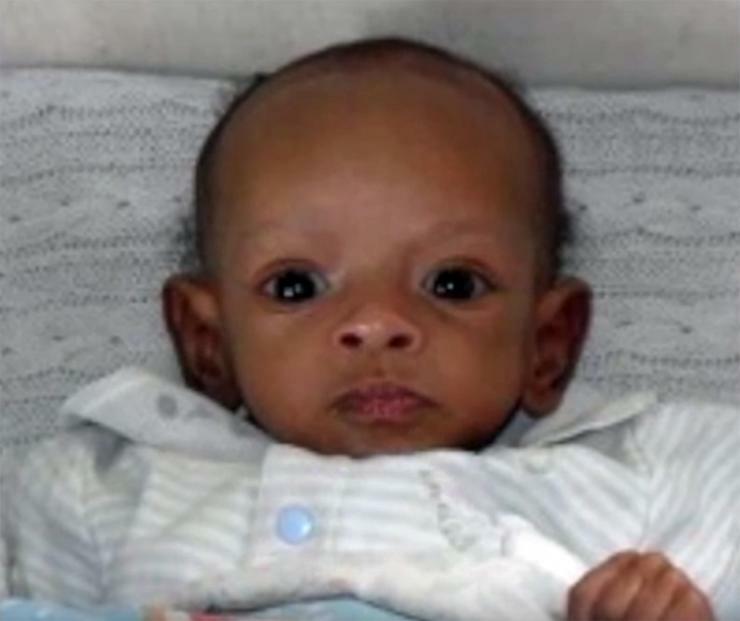 She was four months old and severely malnourished, weighing just five pounds. They received their first pictures of Kennedy in March and fell in love. But Kennedy soon became very sick with diarrhea and then pneumonia. 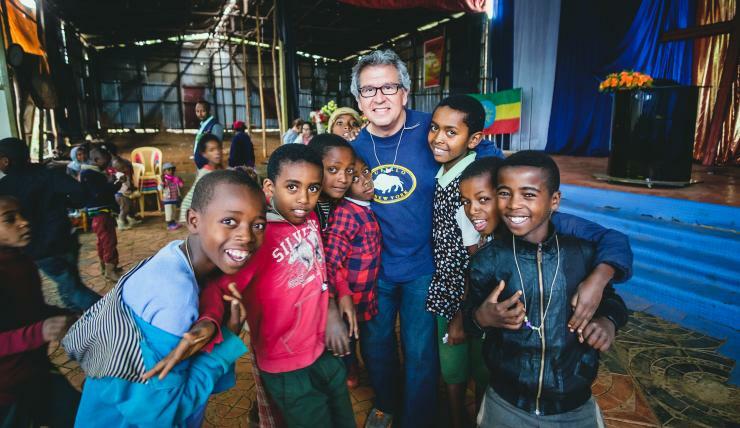 After she died, the Gleasons found strength in their faith, launching Because of Kennedy, devoting themselves as on-the-ground advocates for the orphaned and vulnerable in Ethiopia. The non-profit, faith-based organization is building a school, as well as operating food and women’s empowerment programs, among other things. Soon, their family grew with the adoption of daughters Isabella and Brooklyn. The Gleasons already had two biological children, sons Lawson and Eli. In the years since, Rudy has received two Fulbright Scholarships to conduct research in Ethiopia, and his family spends part of every summer there. His research projects also have been supported by the U.S. Agency for International Development, National Institutes of Health (NIH), National Science Foundation, and American Heart Association. 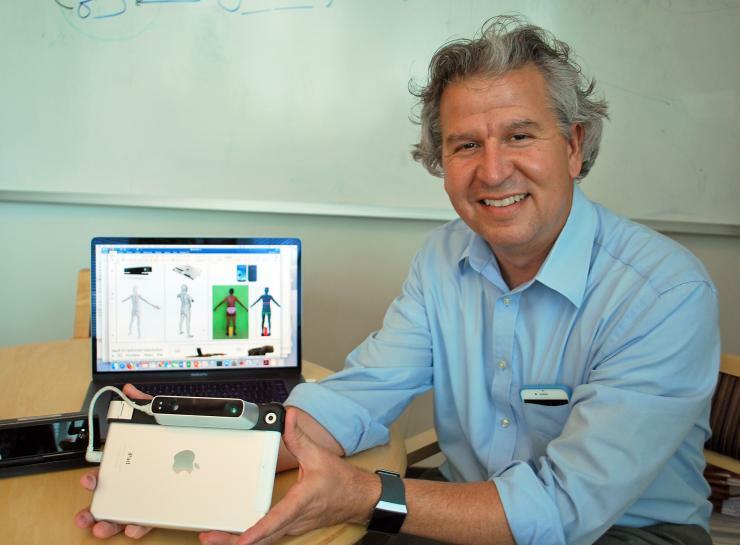 His latest research and publication, “A safe, low-cost, easy-to-use 3D camera platform to assess risk of obstructed labor due to cephalopelvic disproportion,” was supported largely through a grant from Grand Challenges Canada as part of the global Saving Lives at Birth partnership. In Ethiopia, up to 22 percent of maternal deaths can be attributed to cephalopelvic disproportion (CPD) related obstructed labor. Furthermore, maternal morbidity from CPD is widespread in Ethiopia and carries the additional weight of stigma and social exclusion. So Gleason went to work on a simple solution with his fellow authors of the study, including four collaborators from the University of Addis Ababa (Mahlet Yigeremu, Tequam Debebe, Sisay Teklu, and Daniel Zewdeneh); fellow Petit Institute researcher and mechanical engineering associate professor Brandon Dixon (co-founder of healthcare tech company LymphaTech, which focuses on innovative 3D measurement solutions); current and former Georgia Tech students Lorenzo Tolentino (now pursuing his Master’s in Public and Global Health at the University of Washington), Mike Weiler and Nathan Frank (LympaTech executives), Shehab Attia, and Catherine Kwon; Georgia Tech research engineer Anastassia Pokutta-Paskaleva; and Katie Gleason, a former university educator who manages the day-to-day operation of Because of Kennedy. Together, this team developed a low cost, safe, easy-to-use portable platform, utilizing an X-Box video game system with a Microsoft Kinect 3D camera. The device has been shown to have very good predictive capabilities and performed better than all previously published metrics. James Stubbs met Rudy Gleason the summer of 2017 when they were about 3,800 miles away from the Georgia Tech campus, in Ireland. Gleason and his globetrotting family were visiting the country and Stubbs was teaching a class in medical device development – most of his career has been spent starting medical device companies, running through the product development/commercialization gauntlet. Gleason had initially asked Stubbs about creating a monitor for preeclampsia, a pregnancy complication that is about 300 times more prevalent in the developing world. That conversation led Gleason to inviting Stubbs to join him in Africa, which he did last June. “We met with Rudy’s collaborators and they gave us a laundry list of issues they’re dealing with,” said Stubbs, who returned to Ethiopia two months later with the four BME seniors comprising Libi Medical. Stubbs had already pitched the idea of a Capstone team visiting Ethiopia, or another developing country, during a spring semester session about senior design. The plan was for a full-year Capstone schedule (typically, teams take the course for just one semester). Yahia Ali was at the meeting, and he told Stubbs he was interested. At first it was difficult to find students because the two-semester, full academic year approach didn’t fit with a lot of schedules. But soon, Elianna Paljug was recruited. She and Ali recruited the other two members of the team, Hannah Geil and Elizabeth Kappler. The team met throughout the summer, before leaving for Ethiopia in mid August. “We’re very passionate about our project and believe we have the skills that can help,” said Paljug. While in Addis Ababa, they visited Black Lion Hospital, a major medical center, and several other smaller facilities, “a broad range of different healthcare delivery systems,” said Kappler. After spending five days visiting different clinics and hospitals and comparing notes about the needs local clinicians had expressed, “we narrowed it down to fetal heart monitoring,” Paljug said. There’s a pressing need for tools to enhance healthcare in a country where the pediatric mortality rate is very high -- children under five account for 30 percent of all annual deaths in Ethiopia. Then they’ll return to Ethiopia during spring semester with a prototype, so clinicians there can make their assessments, and the team can further develop the tool for manufacturing. Rudy Gleason led the development of an easy-to-use, efficient diagnostic tool that combines an X-Box game system with a 3D camera. The Capstone team of Libi Medical in Ethiopia (left to right): Hannah Geil, Elizabeth Kappler, Yahia Ali, and Elianna Paljug. James Stubbs (left), and Katie and Rudy Gleason (at right) visit with one of their hosts (second from left) in Addis Ababa. 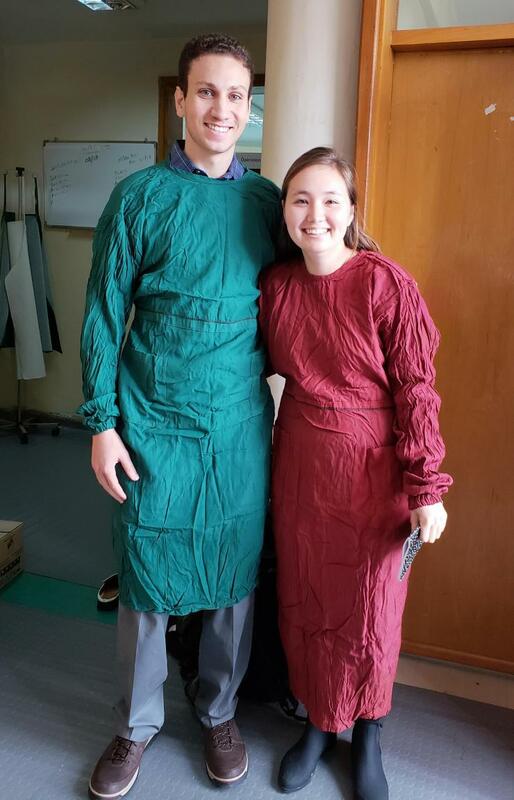 Yahia Ali and Elizabeth Kappler don scrubs in an Ethiopian hospital. Rudy Gleason co-founded, with his wife Katie, Because of Kennedy, a faith-based non-profit that is advocating for orphan children in Ethiopia. Kennedy Fireselam Gleason is the inspiration for Rudy Gleason and the BME efforts in device development that he has spawned.